What is Lisbon famous for? Lisbon is a city which can cater to anybody’s taste. With its landmarks and attractions, it effortlessly blends historical authenticity with local charm and world class cuisine. 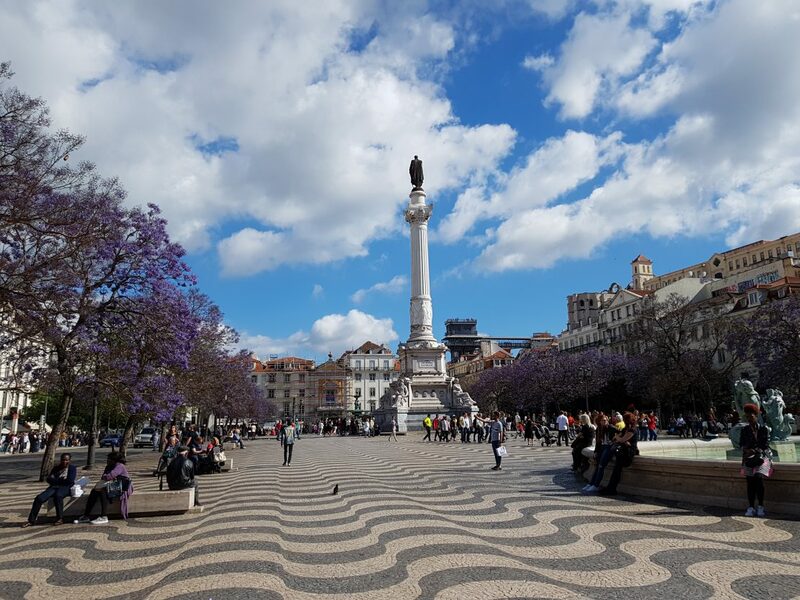 Visitors and travellers have been settling and making their mark on Portugal’s capital for thousands of years, from the Romans to the Moorish Berbers. The end result is a city full of eclectic architecture and gastronomic revelations at every corner. A weekend here can go by in a blur as visitors navigate winding medieval streets of the Alfama district in search of fado music and seafood, before drinking in the view from the Sao Jorge castle. Lisbon is located on the Iberian Peninsula, between the Atlantic Ocean and the Tagus river. The city is defined by its rolling hills and can be divided into five districts, each with its own unique characteristics. 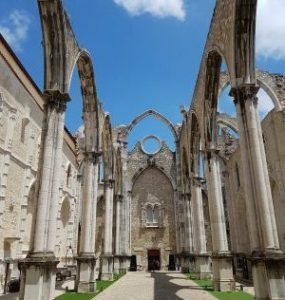 · Baxia- the most central of Lisbon’s districts. Its magnificent architecture is homage to the extensive reconstructions undertaken during the reign of the Marquis de Pombal, after the 1755 earthquake. · Alfama – found to the South East of the centre. Predating the great earthquake, this working class district is sandwiched between Sao Jorge Castle and the Atlantic Ocean. The Alfama is the birthplace of Fado music. 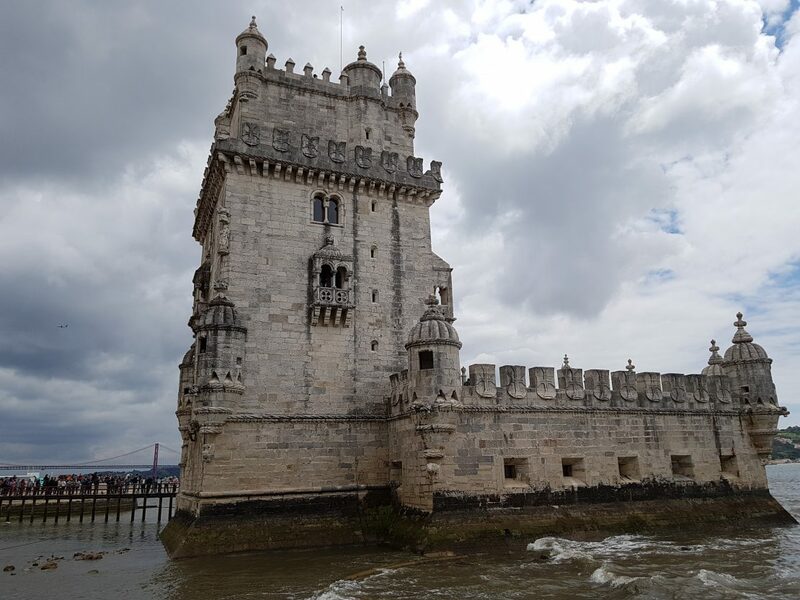 · Belém- west of the centre and home to some of the most iconic buildings in all of Lisbon such as the gorgeously furnished St Jeronimo monastery and aforementioned Belem tower. · Chaido and Barrio Alto – Lisbon’s edgy, bohemian districts which come alive during the evening, with bar-hopping locals and tourists alike. 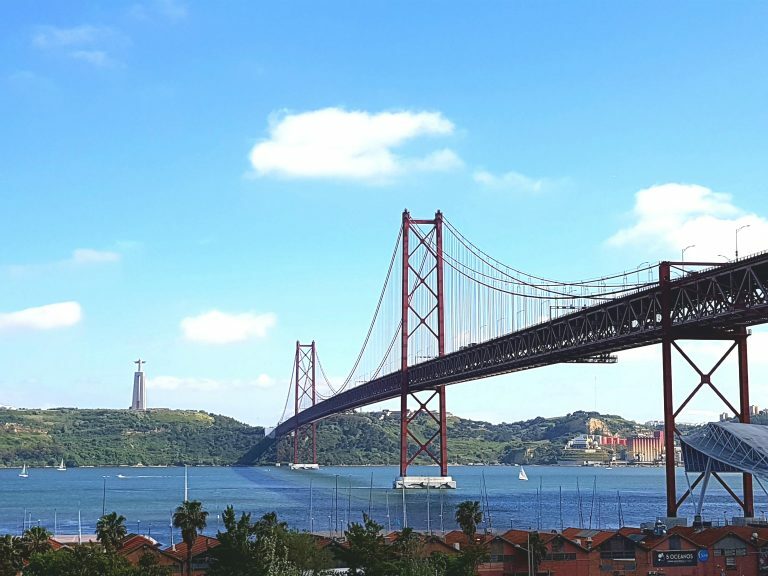 Lisbon can accommodate travellers on a variety of budgets. Centrally, districts such as Bairo Alto and Chaido cater to travellers who want to enjoy the nightlife on offer. Hostels cost between 20 and 40 Euros a night, depending on how many people guests are comfortable sharing a room with. Home Lisbon Hostel is relatively cheap, central and has friendly staff, an ideal place for those seeking a more restful night. North of Baxia district, many Air BNB’s and hotels are on offer for those who don’t mind a 10 minute bus ride into town. For a more unique experience, try booking an Air BNB in the Alfama district. How do you get around in Lisbon? 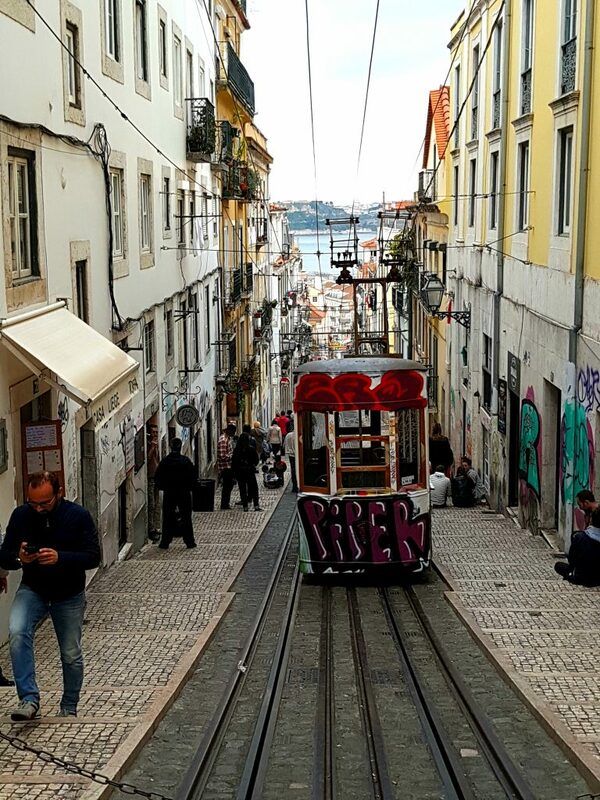 Lisbon has a well established bus, tram and subway routes which run throughout the city. To travel on the subway, visitors must use a viva viagem card, which can be purchased from any ticket machine. The card can be reused and is valid for up to 10 journeys. Visitors will often see Lisbon’s bright yellow trams winding their way through the narrow streets. They are a charming remnant of 1930’s Lisbon. The E28 tram travels through the neighbourhoods of Baxia, Graca and Alfama. However, attempting to get on at the wrong place can mean queuing for 2 hours. A much more expedient method is to take a subway to the Martim Moriz stopand get on there. What food is Lisbon known for? The best thing to do in Lisbon is to simply stroll and take in the sites. Here are some of the most memorable landmarks and places that can be experienced free of charge. 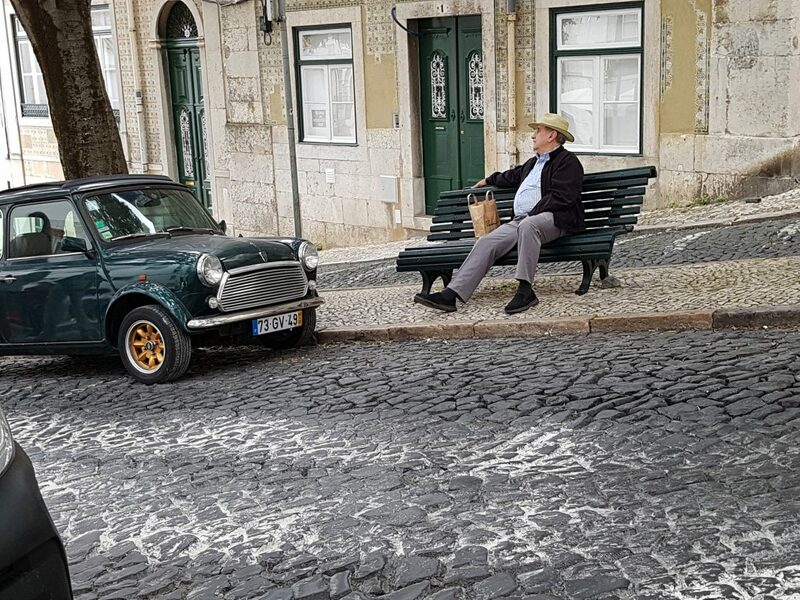 A visit to the Alfama district is non-negotiable for those who want an authentic Portuguese experience, and is the perfect way to kick-start a visit to the city. This working class neighbourhood has authenticity and raw charm in abundance. Predating the great 1755 earthquake that decimated much of Lisbon, the Alfama consists of a maze of labyrinthine, cobbled streets. Visitors are advised to dive right in amidst the hustle and bustle of daily life. Occasionally, the mazy alleys will part to reveal a town square where elderly men lounge and gossip, probably about you. Ginja, a home brewed liquor is served in makeshift shops by vendors who harangue passers by in Portuguese. An afternoon wandering the Alfama district can go by in a flash. 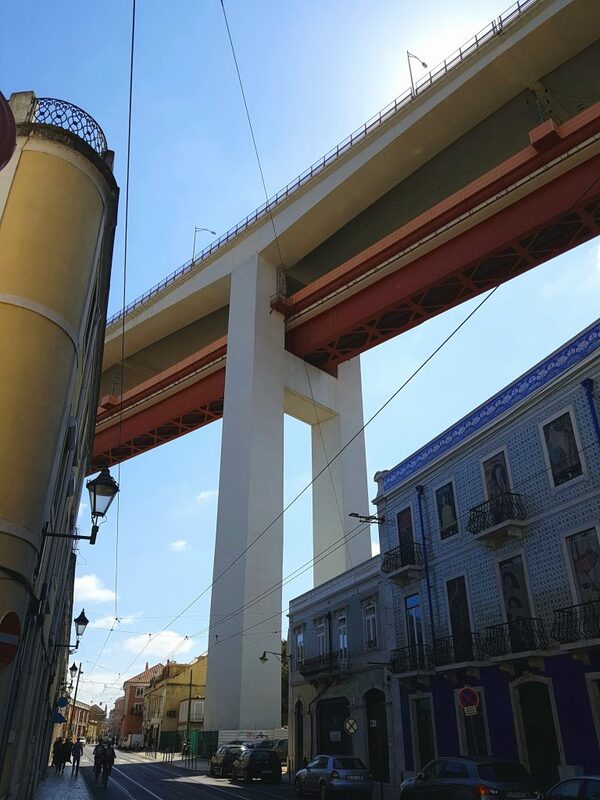 Another of Lisbon’s most iconic attractions. Those standing on the roof and looking out over the water could be fooled into thinking they had crossed the Atlantic and were in San Francisco. This suspension bridge was designed by the American Bridge Company, which also constructed the golden gate bridge. It connects Lisbon with neighbouring Almada. In order to appreciate the view, venture next door to the LX factory. This former industrial space where textiles were once made has been transformed into a creative hub for small businesses, ranging from artists’ studios through music companies. This eclectic mix of independent shops is a fantastic place to shop for souvenirs. The top of the warehouses boasts a bar with unrestricted views over the bridge. Grab dinner from one of the many food trucks and enjoy. This magnificent tower is one of Lisbon’s most recognisable landmarks. It has been designated a UNESCO world heritage site. It pays tribute to the discoveries made by Portuguese explorers during the maritime golden age. The tower was constructed with the specific function of becoming a ceremonial gateway, fort those entering Lisbon by sea. São Jorge is one of Lisbon’s main attractions. This Moorish era castle looms over the city, exuding grandeur. It has presided over the city in some form since Roman occupation in the first century AD, with the first fortifications being built in AD 48. During the 10th century Moorish Berbers occupying the city constructed the citadel in the medieval style, hence the heavily fortified towers. São Jorge contains architecture ranging from the Moorish era through to the 19th century, during which time the entrance was reconstructed. In the gardens peacocks wander freely and the plaza boasts magnificent panoramic views of Lisbon. São Jorge is something of a tourist hotspot but for those who don’t mind the crowds it is well worth the time and money spent. Admission for adults costs a modest 8.5 Euros. For many the Monastey of San Jeronimo is an integral part of a trip to Lisbon. This article is going to court controversy and suggest a more subtle destination which is not beset by such gargantuan queues. The Covento de Carmo was partially destroyed during the great earthquake of 1755. Its foundations remain, reaching into the sky with a skeletal grace that can be quietly contemplated. This former convent is a five minute walk from Baixa Chiado metro station. Entrance costs 3 Euros and queue time is approximately 1 minute. This is time far more efficiently spent. For visitors in June, the Alfama marks the festival of Saint Anthony between the 12th and 14th. The festivities consist of residents staying up until the early hours consuming wine and sardines, accompanied by a soundtrack of authentic Portuguese fado music. For some, being subjected to the hustle and bustle of city life for three days straight can be a little overwhelming. So why not take a trip to a seaside town or a site of historical interest. Take your pick. The chances are, those considering a visit to Lisbon will have also heard of the neighbouring town of Sintra. 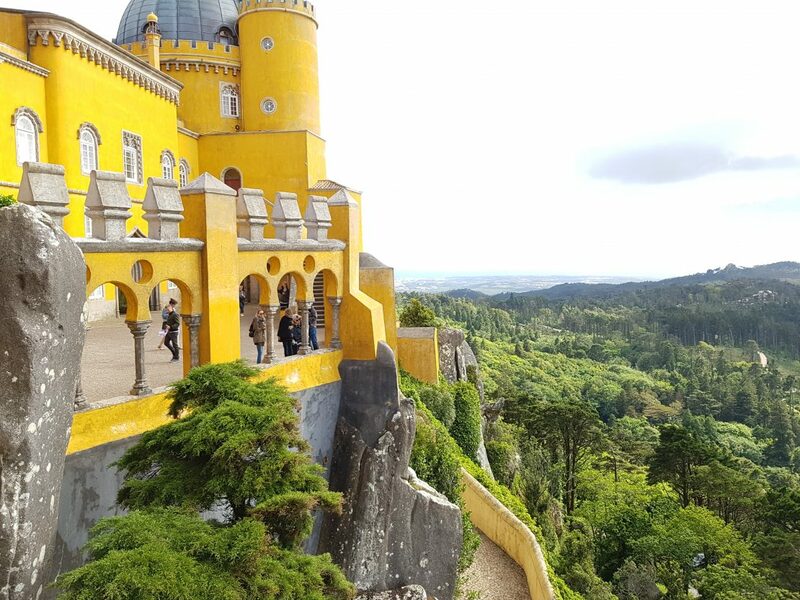 Situated in the hills of Serra de Sintra, and designated a UNESCO world heritage site, Sintra is famous for the romanticist architecture of the 19th century that it harbours in the form of ornamental gardens, palaces and villas. The Pena National Palace is the poster child, standing tallest with its canary yellow towers. Those who can put up with the hordes of tourists flocking to the iconic yellow tower and a windy assault on the ramparts will not be disappointed. Getting to this municipality is relatively inexpensive and stress free. Take a train from Rossio station, at the cost of 2.25 Euros. Once there, it is prudent to take the E434 bus, which drops passengers off on a loop around the sites at the cost of 5 Euros. Cascais is a sleepy, coastal town privy to fantastic seaside views. It can be reached by taking a 45 minute train ride from the west terminal of Cais do Sodre station in Lisbon. Stepping off the train, the town is initially underwhelming as it is awash inauthentic restaurants shops hawking generic tourist wares. To truly appreciate Cascais, however, visitors need to seek out the secluded beaches. A fantastic way to do this is to rent a bike. 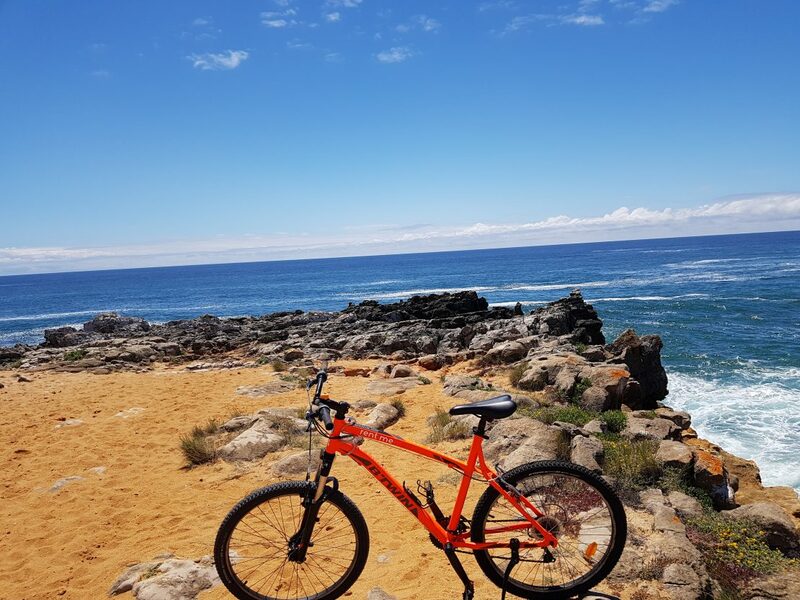 Guicho beach is an enormous, sandy covered surf mecca, which is a mere 45 minutes from Cascais on bike. Along the cycling routes are picturesque cliffs, such as the boca de Inferno (mouth of hell), an open cave where waves crash against the shore.